A leading French analyst believes that France’s credibility as a reliable supplier of weapons is at stake if it refuses to send the Mistral-class amphibious warships to Russia. 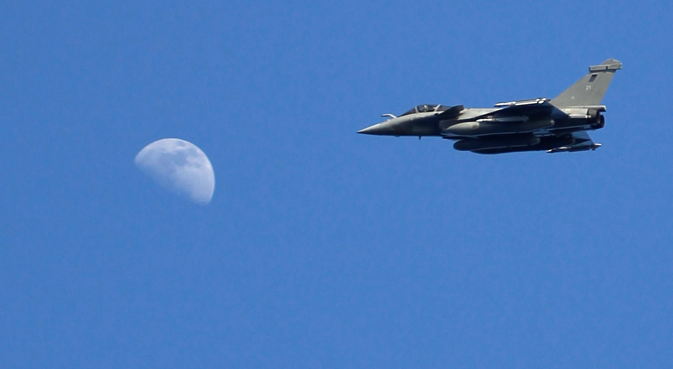 France risks losing a contract to supply 126 fighter jets to India due to its refusal to deliver Mistral-class ships to Russia, a leading French analyst told the Delovoi Peterburg website. French officials said this week that they will not deliver the first Mistral-class amphibious warship that Russia had ordered as part of a $1.7 billion agreement for weapons sale. The biggest repercussion would be a loss of reputation for France as a reliable supplier, Arnaud Dubien, a Russia research associate at the Institut de relations Internationales et Strategiques said. “Officials from the French Ministry of Defence, in private conversations acknowledge that if they fail to deliver the Mistral to Russia, then France will lose its contract to supply 126 fighter jets to India,” Dubien said. Dubien believes that the decision of French President Francois Hollande, to suspend the delivery of the Mistral, is not final, and was taken under tremendous pressure from the United States and Germany. He added that a final decision would be taken by November on the delivery of the warships, and a lot would depend on how the situation in Ukraine panned out. A source in the Indian Defence Ministry said that India was “watching the developments closely.” The source added it was too early to say if this would factor into the government’s decision to sign a contract. “When such a large amount of money is paid and then a supplier uses geopolitics to delay or suspend deliveries, it does raise eyebrows,” the source, who was not authorised to talk to the media, said. The Indian Ministry of Defence could not be immediately reached for official comment. India is continuing its final negotiations for acquiring 126 French Rafale fighters in a deal that would cost around $22 billion. France’s Dassault Aviation won a bid to supply India with Medium Multi-Role Combat Aircrafts and a final contract is being dubbed as the “mother of all deals,” by many sections of the Indian media. Russia, Britain, the U.S. and Sweden have all made attempts to re-enter the race to sell their aircrafts. Indian Air Chief Marshal Arup Raha told the Hindustan Times that a deal for the Rafale is “going to happen soon.” Industry watchers in Delhi however say that there will be growing pressure to reconsider France given the volte-face the country made this week when it came to the supply of the Mistral ships to Russia.